Lungwort is probably the most common wildflower across all of mainland Europe, where it is native. It exists in every country except for Norway, has been naturalized in Britain, and has spread as far east as Russia and as far south as Iran. It's one successful little plant! Aside from being a wildflower native to Europe, it is also a very common European garden plant which is why it is now found in North America; it was introduced here in the 1700s by European settlers to decorate their gardens and has thrived here ever since. This plant isn't quite successful enough in North America to be considered invasive since it reproduces very, very slowly from seed. 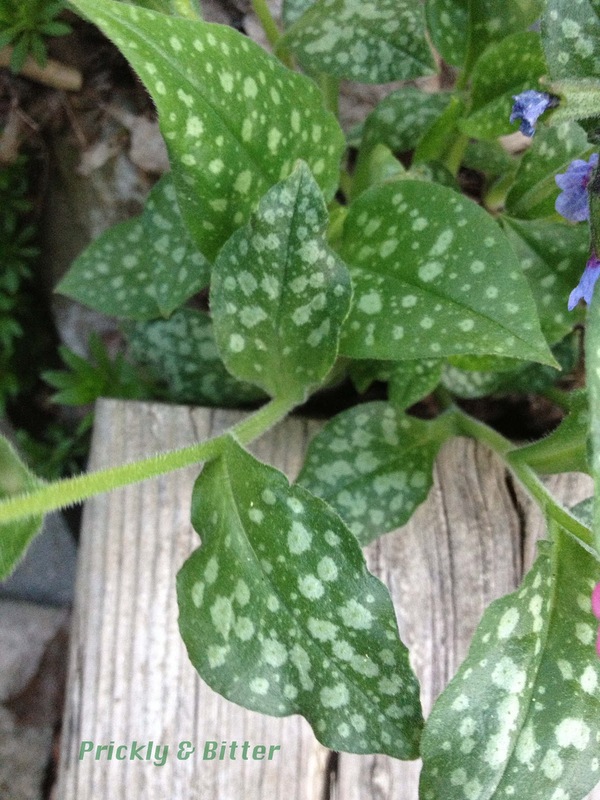 Once established, it spreads like a weed through underground rhizomes. We have quite a patch of it growing in our garden. Sure, the flowers are nice and the flower early in the spring when everything else still looks dead, but too much of it is not a good thing. Plus, it's a non-native! 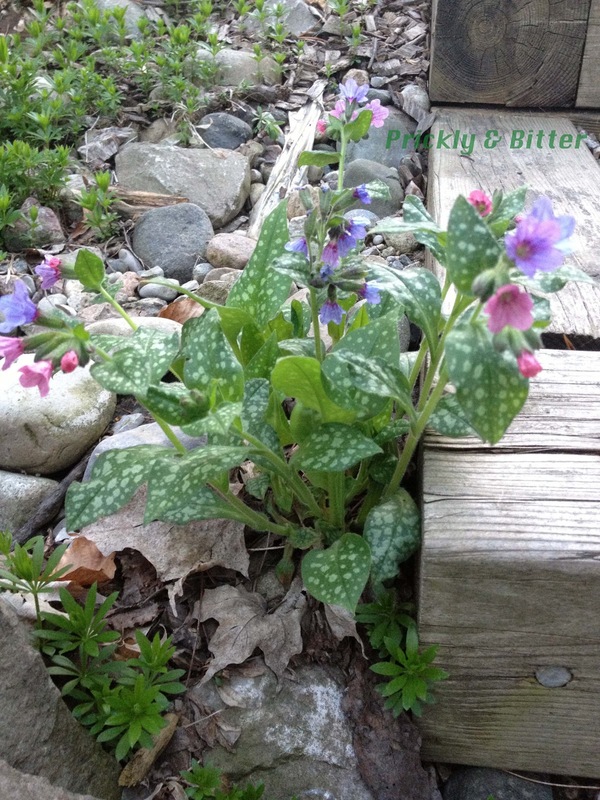 Lungwort is a great example of a principle called the "Doctrine of Signatures". This principle states that if a plant looks like part of the body, it can be used to treat that part of the body. This idea might seem a little crazy (which it is), but this explains where we get a lot of the common names of plants, and even some Latin names: "Pulmonaria" means lungs, and the Latin epithet "officinalis" (or any derivative of that word) means medicine. Any time you see a Latin name of a plant with that epithet, you know it was once used as a medicinal plant (and sometimes still is). The flowers of lungwort are a great example of "magic" that can happen inside a plant when you're not paying attention. When the flowers first open they are pink, sometimes even almost red. This is because of an anthocyanin-based pigment found in the flowers that reacts to a very low pH by producing a colour that our eyes interpret as pink. As the flower matures, the plant gradually shifts the pH of the flower petals to be significantly more alkaline, sometimes shifting the pH as much as 5-6 points on the pH scale. This causes the anthocyanin pigments to change configuration, and instead of producing a colour that we interpret as pink, our eyes see it as blue. This change in flower colour is similar, yet different to the change in flower colour that can be observed in hydrangeas (which you can read all about HERE). Hydrangeas react to the pH of the soil, which in turn affects the colour of the flowers (as opposed to this flower colour change being plant-directed). 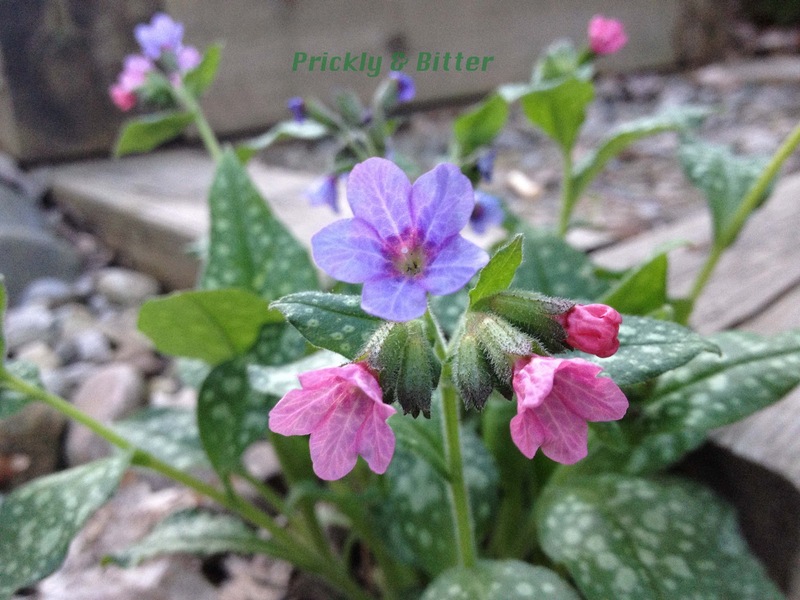 The other difference between hydrangea flower colour changes and the changes observed in lungwort is that lungwort is more a direct reflection of the way we think of colour change according to pH: blue means basic, red means acidic. In hydrangea flowers, the colour indicates the opposite (very brightly-coloured blue flowers mean a very acidic soil and bright pink or red flowers mean a strongly basic soil). So what kind of medicinal uses does this plant actually have? Well, it's currently used as an herbal medicine to treat asthma. This treatment is surprisingly successful; extracts from the plant are now being looked at as an alternative medication to asthma inhalers. Since people with very severe asthma start to notice a "desensitization" reaction occurring with the most commonly prescribed asthma medications, it would be a welcome addition to the market!